Material attributes define the core characteristics of a material, such as its diffuse color, diffuse shading model, and so on. Attributes are organized into geometry, shading, and misc. Attributes contribute to a layer of a material. If a material is directly used as a model material, all its root attributes are considered part of the first layer. 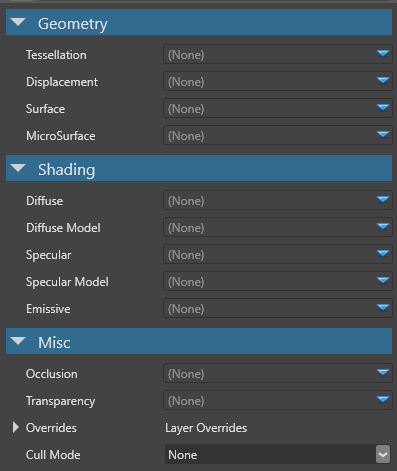 You can also write custom shaders to use in material attributes. In this case, renaming the Windows article will be a trivial task if no one opposes it. I started the Talk page discussion first to 1) make sure my logic was sound 2) check I wasn't stepping on toes. I was being polite.